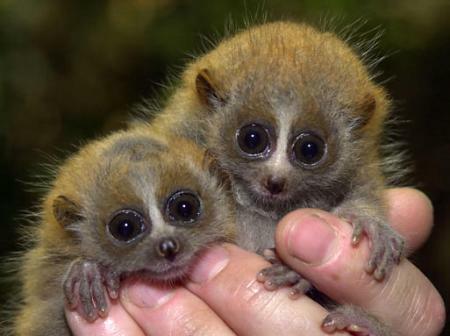 University of Missouri (MU) doctoral student and her colleagues recently identified three new species of slow loris. The primates had originally been grouped with another species, the Bornean slow loris (N. menagensis), but after a study of physiological and habitat differences, three new subspecies (N. bancanus, N. borneanus and N. kayan) were identified. Dividing the species into four distinct classes means the risk of extinction is greater than previously believed for the animals but could help efforts to protect the unusual primate. 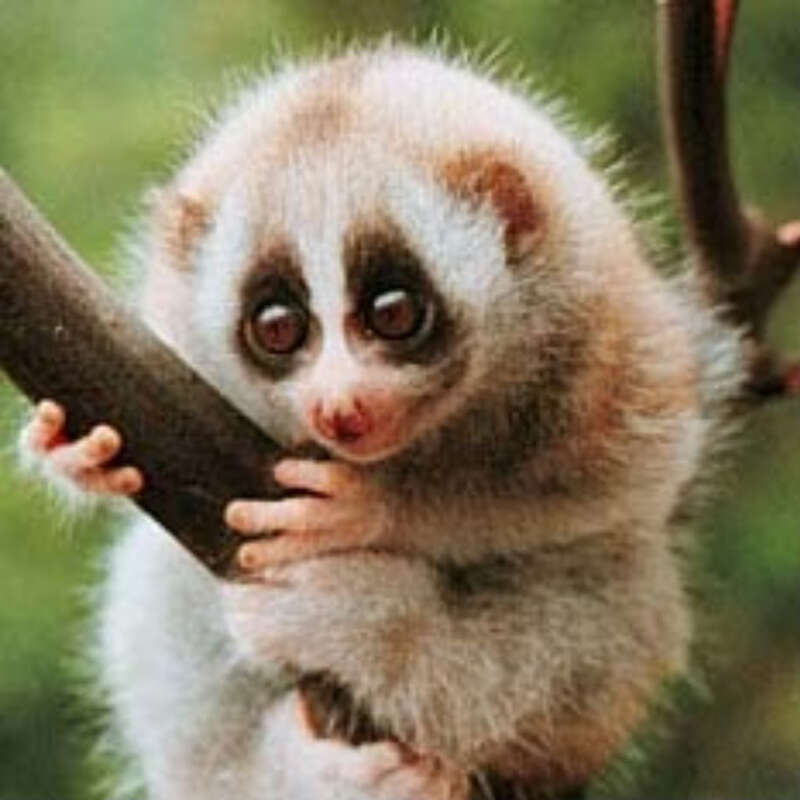 The slow loris is a venomous primate with two tongues and would seem safe from the pet trade, but the big-eyed, teddy-bear face of the slow loris (Nycticebus sp.) has made them a target for illegal pet poachers throughout the animal’s range in south eastern Asia and nearby islands. 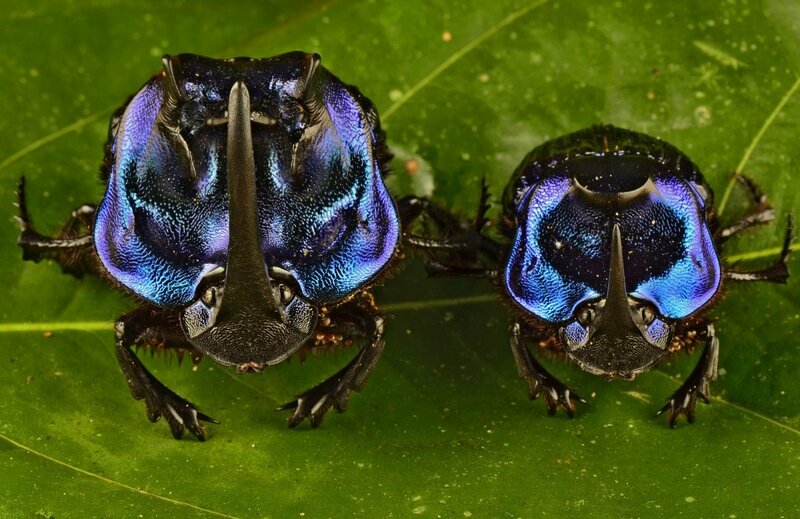 Sixty species new to science, including a chocolate-coloured frog and a tiny dung beetle less than 3mm long, have been discovered by scientists in Suriname. An expedition of scientists spent three weeks in 2012 exploring an area of rivers, mountains and rainforest in the south-eastern region of Suriname that has “virtually no human influence”. The Conservation International team found 11 new species of fish, one new snake, six new frogs and a host of new insects in the South American country. Dr Trond Larsen, one of the field biologists with Conservation International (CI), said they were particularly surprised by the number of frogs. 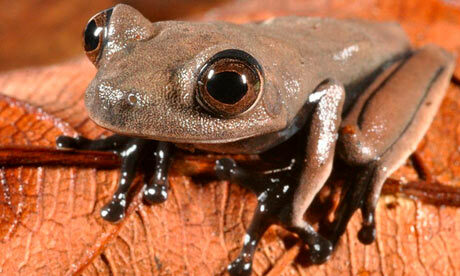 “With many frog species rapidly disappearing around the globe, we were surprised and uplifted to discover so many frogs potentially new to science, including a stunningly sleek ‘cocoa’ tree frog,” he said. The cocoa frog (Hypsiboas sp) was named after its chocolate colouring, and described as an “especially heartening” find by Larsen. It lives on trees, using the round discs on its fingers and toes to climb. The remote nature of the area saw the team travel first by plane, then helicopter and then by boat and on foot, with help from 30 men from indigenous communities. At one point “relentless” rain saw the team forced to move after their campsite was flooded. “This demonstrates that even the most isolated and pristine parts of the world are not entirely sheltered from human impacts — all systems are interconnected,” said Larsen. I have been a long time supporter of Conservation International and I applaud the important work they are engaged in globally. 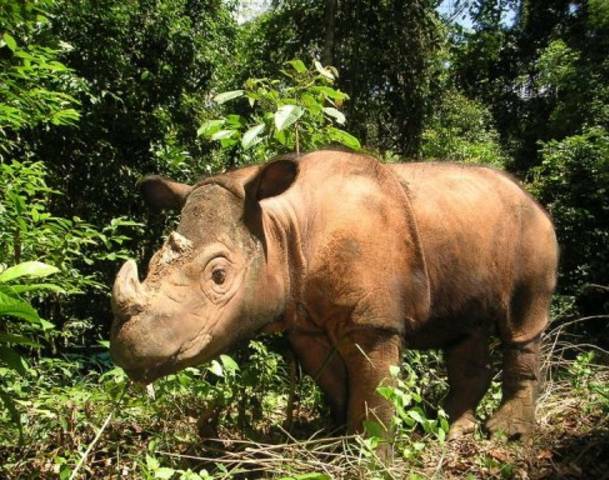 Good news for the Sumatran Rhinoceros! Camera traps on the island of Borneo have recorded photo’s of Sumatran Rhino which up until recently were thought to be extinct in this location. The species is critically endangered. I spoke with Dr. Susie Ellis, Director of the International Rhino Foundation (IRF), the scientific community believes there are less than 95 Sumatran rhinoceros left in the wild, Less than a dozen in captive breeding facilities. The Sumatran is the smallest of all five species, standing less than 4ft at the shoulder. IRF and other leading organizations are taking immediate action to save this species from extinction, mainly from poachers and deforestation.